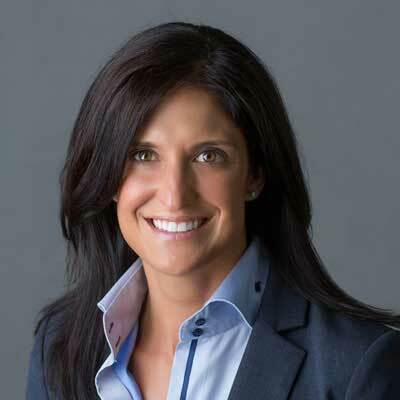 Dawn Marie (DiPonio) Ruszel joined Western Digital by way of Virident; which four years later was acquired by HGST, a Western Digital brand. At HGST, Dawn Marie launched Western Digital's first ever VAR-facing program for the newly formed enterprise sales team. Today, she helps drive the integration of all Western Digital partners via acquisitions, including most recently Tegile and, prior to that, SanDisk. Before starting her career, Dawn Marie graduated from Alma College in '97; while at Alma, she was an active member of a sorority, competed on the track team and coached local middle school sports. Shortly after college, Dawn Marie started her career in storage in Professional Services, managing large storage refreshes. After several years in the Data Center world, she found a passion for Partner Sales and working with the channel, where she spent the bulk of her career at EMC managing the channel in the Midwest. She later moved to join VCE at its inception, where she was responsible for onboarding partners for services to assemble, deliver and consume systems for faster sales. Dawn Marie continues to leverage an ever-growing portfolio under Western Digital, focusing this year on the seamless integration of the IntelliFlash product family. Adding IntelliFlash to the Data Center Systems portfolio greatly expanded the high-end capabilities to address the massive capacity and performance needs for both Big Data and Fast Data. Today, big data and fast data spark new questions about how companies manage the growing diversity of content, transactions, feeds and insights. By supporting the company's long-standing relationships with partners, Dawn Marie has unique insights into how customer needs are evolving. She works with enterprise resellers to broaden their storage solution offerings to customers, while giving Western Digital an extended reach into the market to span all enterprise storage needs. Dawn Marie constantly challenges the EPP team to think of the end goal, including marketing, when recruiting resellers by solving the resellers' challenges first, then focusing on their clients' challenges. The EPP team engages resellers who have the desire and the ability sell a scalable platform solution, thereby focusing on delivering a full solution to ensure a client's long-term success rather than fulfilling an immediate need for a component - creating a win for resellers, partners and Western Digital. Dawn Marie's goal is to enable our partners' success. Her team focuses on partners who lead with solutions and engage customers in focused verticals, ultimately helping all to achieve revenue targets. As WDC makes acquisitions, the team examines ways of integrating partner programs. The EPP team wants to engage VARS invested in emerging technology and partner with a proven company focused on quality to help customers protect data. The team is committed to building and growing the WDC storage portfolio and program. WDC strives to ease on boarding, enablement, deal qualification, co-selling, and incentivizing partners. In the past year, Dawn Marie was recognized for her extraordinary efforts with managing the VAR Program and resources she assumed responsibility of the Tegile Partner Team, a newly formed Partner Field Marketing team as well as Technical Alliance responsibility. Under her direction, WDC also was listed on CRN's 2018 Partner Program Guide, earning a 5-Star Ranking for the partner program. Outside of work, Dawn Marie is an avid runner and tri-athlete with the most notable accomplishment for 2017 being Triple Bypass 120 mile bike ride with 10,000 ft. of vertical climbing. I've recently watched the documentary on Temple Grandin, an autistic woman who has become on of the top scientist in the humane livestock handling industry. Not only has she and still continues to advocate for autism but she fought against perception and struggled to find her place but continued to pursue her passion and love for animals. She has made the world a better place for all those that have autism or a loved one with autism and a more humane way of treating animals at scale. Have confidence and don't be afraid to be passionate with what you love and find interesting. A lack of confidence until my mid 20's held me back from being the best version of me I could be at that time. Fear of failure and/or the opinion of others held me back from being the very best student, athlete and later in life likely slowed down my climbing of the corporate ladder. Realizing that we need to stretch to grow and really understanding the failure teaches us important lessons to move further would have been invaluable at age 16. Blogging and leveraging social media to better the business. Our partners are overwhelmed with manufacture information via newsletters, training, summits, lunch n learns. To reach our target partners with meaningful messages I'd like to improve my ability to connect with them via social media. Finding the right balance and messages that are compelling them to take action would bet the end goal. Lilac Girls, by Martha Hall Kelly is a story of women from Poland, the U.S. and Germany during WWII. I could not put the book down. The challenges the Polish women faced and the continued perseverance to continue on and still have the capacity to help others was overwhelming. The book really makes you stop to think how you would act in the situation. Would you be the women who worked tirelessly from the U.S. to make a difference for women in children affected by the war or someone that would not resist and therefore not help the greater cause?